Get ready to take off with this space themed kid’s lunch bag. 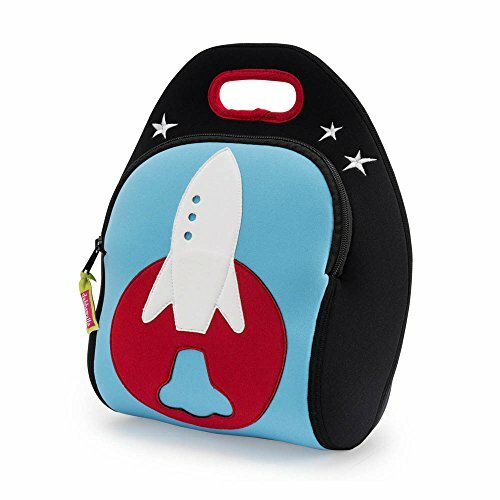 Little astronauts will be thrilled to tote lunch and snacks in their rocket tote, and parents can feel good knowing the Rocket Lunch Bag is made with sustainable materials and free of over 100% known toxic-chemicals. Plus it is machine washable, so when this space ship takes a spill, there is no ‘Houston we have a problem’. Just toss in to the machine and get back to the mission.